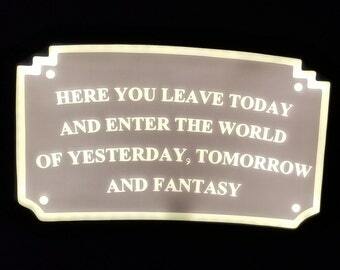 Main Street Entranceway Welcome Plaque DW Inspired Sign - Silver Shade! It is made out of PLA. Each piece is hit with a glossy finish to preserve the color. The piece is approximately 7 inches in diameter. The thickness is approximately 1/2 inch. Each piece is custom fabricated by myself. ***To clarify some misconceptions, changing the shipping does not affect the 3-4 week current delivery time. That simply is what method we will ship the item by once it is completed. Happy holidays! Super fun item and looks great hanging in my house. 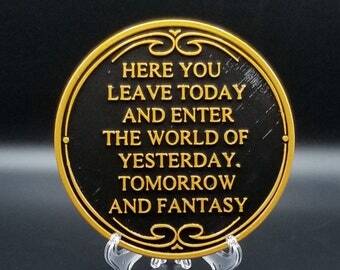 A must have for every Disneyland fanatic. Nicely made replica. Thank you! 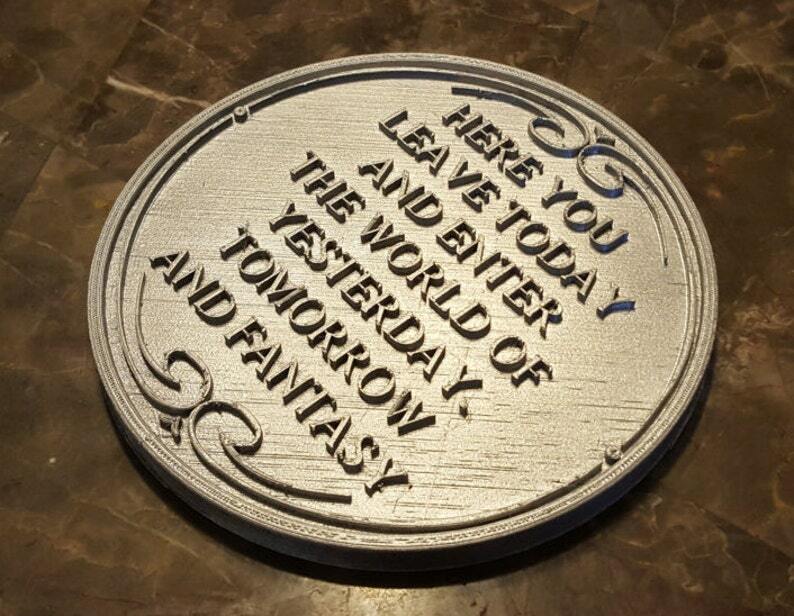 I ordered this plaque for a very dear friend of mine who adores Disney. For lack of planning on my end, I ordered this item super late. I contacted the seller and they responded very quickly and said they would try their best to get it to me on time. I got it the day I needed it and would completely recommend them!!!! 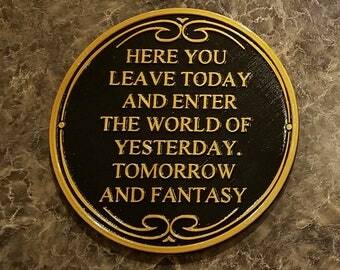 The sign is perfect and the seller is awesome! !